Minding Your Business Reporter Tad Sooter keeps tabs on the West Sound economy, nonprofits and health care. Jobs numbers in Kitsap County remain encouraging as the busy summer employment season approaches. About 87,400 people were working for Kitsap businesses and government agencies in April, 3.4 percent more than in April 2014. Employment was up among both private and government employers, according to statistics released last week by the state Employment Security Department. Overall employment numbers for Kitsap County residents are less encouraging. The labor force — the number of people working or actively seeking work — continued to fall in April. The number of employed residents also dipped, dropping from 108,450 in March to 107,160 in April. Kitsap Mall was already having a busy year, with the addition of Buffalo Wild Wings and the announcement of an H&M coming this fall. News of new tenants just keeps piling up. As was announced earlier, Victoria’s Secret will reopen Saturday following a remodel, and a new PINK shop will make its debut. The opening for the 8,000-square-foot space is set for 9:45 a.m. Mall General Manager Erin Leedham said work will begin soon on a Just Sports athletic apparel store. 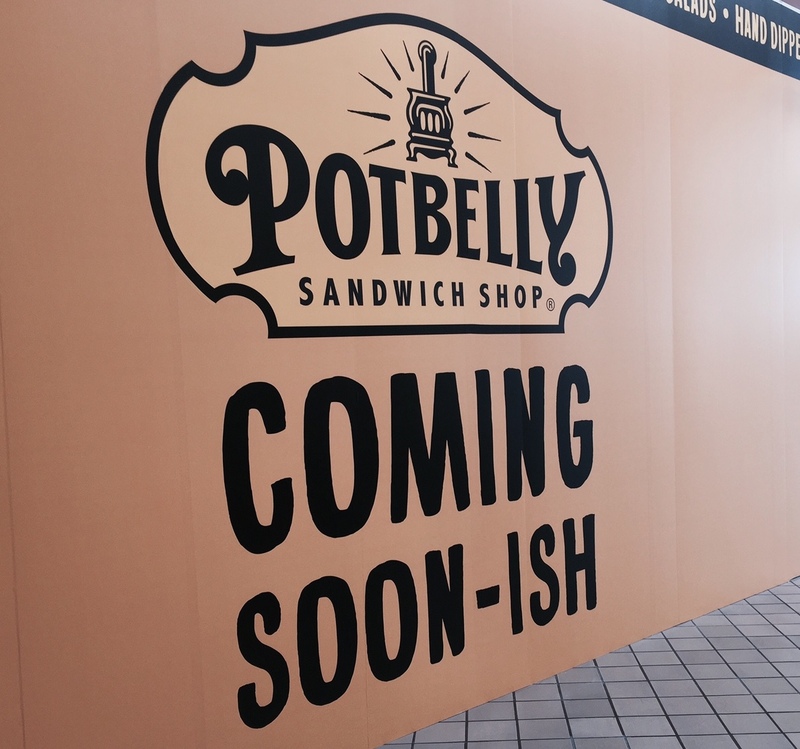 A Potbelly Sandwich Shop is “coming soon-ish” according to its signage. Leedham said Dairy Queen was remodeled and expanded its menu, while Hot Topic opened in a new location. Lane Bryant is extending into new space. Building permit applications indicate Qdoba Mexican Grill has a restaurant planned for mall. The mall hasn’t confirmed Qdoba as a tenant, and a Qdoba representative didn’t immediately respond to a request for comment Thursday. As new stores arrive at the mall, others are exiting. A representative at Forever 21 confirmed the Silverdale store will close Friday, though there’s a chance it could reopen in another space. Meanwhile, names of tenants at the future Trails at Silverdale shopping center keep trickling out. We will have more news on that front shortly. We still haven’t heard any official tenant announcements from The Trails at Silverdale developers. Names keep popping up anyway. The latest is Ulta Beauty, a national beauty products retailer and salon. Ulta applied for a tenant improvement permit for a Trails at Silverdale store space on May 14, according to county documents. Ulta already has quite a few Western Washington locations. This will be the first in Kitsap. Last week we noted Gap was seeking employees for a new outlet store at the Trails. Gap has also applied for a tenant improvement permit. Building construction is well underway at the Greaves Way shopping center, which is expected to open later this year. 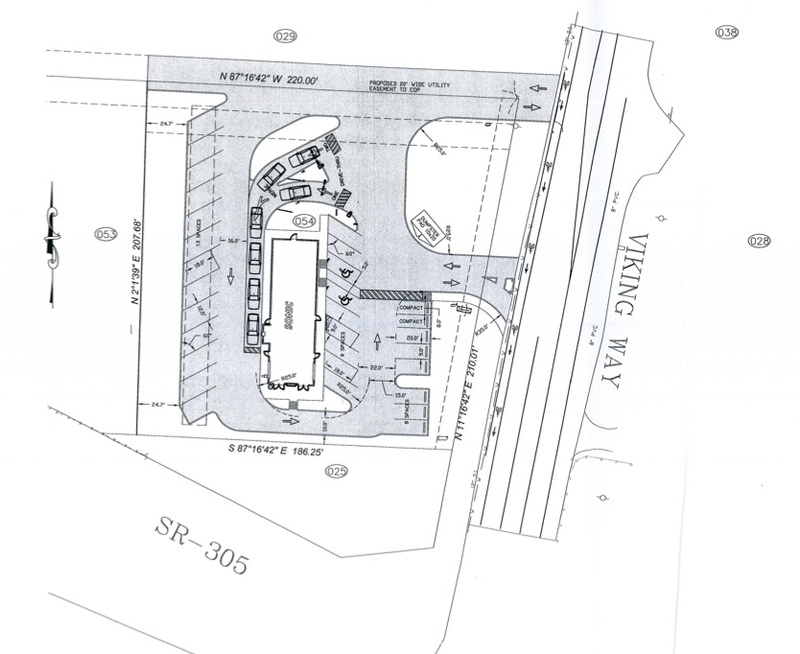 When a CVS was first approved in Poulsbo, plans called for both a pharmacy and a fast food restaurant. The drug store opened in February. The restaurant never materialized. Now CVS is selling the leftover parcel on Highway 305. Colliers International listed the 1.07-acre property for $1.25 million. The assessed value of the lot is about $285,000. The CVS property is located on the northeast corner of Highway 305 and Hostmark Street. A large retail building was torn down to make way for the development. You can view the listing here. 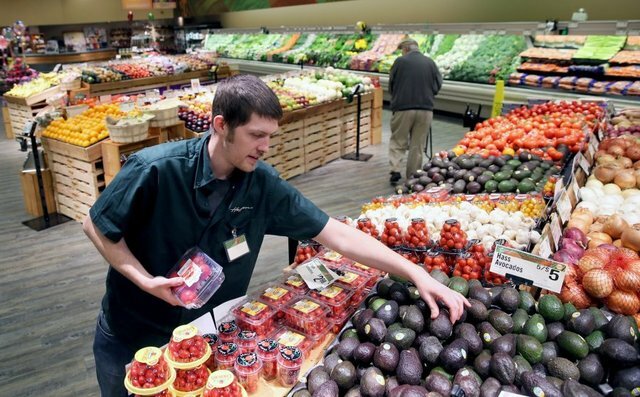 The Albertsons in East Bremerton will become a Haggen Northwest Fresh store a week from now. The Wheaton Way Albertsons is scheduled to close May 26 for conversion, and reopen May 28 under the Haggen banner. Two other Kitsap grocery stores have already converted to Haggen. A Silverdale Albertsons and Port Orchard Safeway made the change in March. Bellingham-based Haggen acquired 146 Albertsons and Safeway stores this spring as part of a divestiture required for the merger of the two grocery titans. You can read all my posts about Haggen’s arrival in Kitsap here. Haggen posted a FAQ about store conversions. 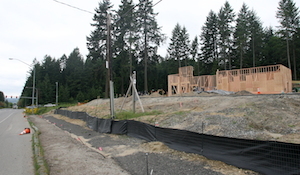 After months of inactivity, Poulsbo’s future Sonic Drive-In is getting built in a hurry. Walls started going up last week at the site off Viking Way at Highway 305. Much of the structure took shape over the weekend. Workers were busy framing Sunday morning. The highly-anticipated fast food joint was initially expected to open late last year. Alterations to the site plan delayed construction. The city issued a building permit for the project April 13. The 2,150-square-foot restaurant will be somewhat unique for the chain. Last we’d seen, the building designs included a patio seating area with garage-style doors that could be rolled up during sunny weather and closed when it’s cold. I’ll let you know when I hear an opening date. With hundreds of Washington microbreweries producing countless varieties of beer, some trademark conflicts are inevitable. Kendall Jones of the informative Washington Beer Blog posted this week about one such brand kerfuffle involving a popular Kitsap brewery. According to Jones, Three Magnets Brewing Co. of Olympia renamed its Rainy Day IPA after receiving a cease-and-desist letter from Rainy Daze Brewing Co. of Silverdale. 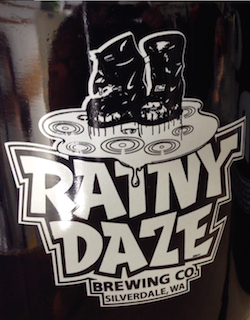 Rainy Daze owner Mike Montoney told Jones he didn’t want to take legal action against another brewery, but felt it necessary to protect the brand he’s worked to build. For its part, Three Magnets said the IPA in question was named in honor of Rainy Day Record Co., an iconic store in Olympia. The beer has been renamed 3Mag Rain IPA. Read the full story on the Washington Beer Blog. In happier beer news, Rainy Daze just won the Favorite Brew Award at the Gig Harbor Beer Festival for the second year in a row. 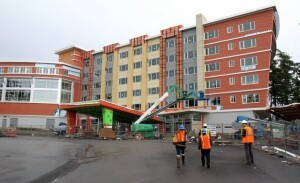 A ribbon cutting ceremony for the Suquamish Tribe’s new Clearwater Casino Resort hotel tower is set for 3 p.m. May 18. The 98-room hotel was part of the second phase expansion at the Clearwater. The new addition includes The Clearwater, a fine dining restaurant that opened May 6. The new Beach Glass Cafe and Beach Bru Coffee shop opened Tuesday. A large conference room was also built into the hotel addition. The Monday ribbon cutting event will include speakers, tours and a reception. You can read our February story on the Clearwater hotel expansion here. The fourth quarter of 2014 was kind to Kitsap County retailers. Taxable sales across all industries in Kitsap were up 4.26 percent in October, November and December of 2014, compared with the same months of 2013. Retail trade sales (sales made by traditional stores, dealerships, etc.) were up 5.56 percent, according to numbers released Monday by the state Department of Revenue. Retailers posting the largest revenue gains in 2014 included auto dealers, drug stores, building material sellers, home furnishing stores and e-commerce enterprises. Well, we can confirm at least one tenant for the Trails at Silverdale shopping center. It appears Gap is hiring up for a new outlet store at the Greaves Way development, which is currently under construction. There is already a Gap and GapKids store at the Kitsap Mall. We’ll let you know when we get confirmation of other tenants. Plans show spaces for about two-dozen tenants, including big box stores, smaller retailers and restaurants. The county has so far issued building shell permits for four Trails buildings. If you’re interested in following progress at the worksite, contractor Robinson Construction Co. has posted a nifty webcam on its website, along with some impressive aerial photographs. California-based Trails at Silverdale developer CenterCal Properties, LLC. is staying busy in Washington. The company recently bought the Totem Lake Mall in Kirkland, and plans a $200 million redevelopment of the aging shopping center. Where will you get your Christmas tree this year? I'll buy my tree from a lot or store. I'll go to a u-cut tree farm. I'll dust off my trusty artificial tree. I'll legally harvest a tree. I don't plan to have a Christmas tree.